For anyone trying to lead a healthier lifestyle or loves smoothies and shakes, the single serve blender is a kitchen staple. The old blenders we use for other bulk kitchen work just don’t pack the convenience that these personal blenders do. With regular blenders, you’ll find that you make way too much for a single serving and end up with a lot of smoothies left over. You also spend a lot more time on clean up than you generally would with a personal blender. A regular blender also isn’t exactly tailor-made for your busy lifestyle because you have to transfer your drink out into a travel mug. When you’re trying to stay healthy with a million other things to worry about, these are hassles you just don’t need. That’s what makes the single serve blender such a great addition to your kitchen. These little powerhouses prepare your smoothies for the road and most times can be fashioned for multiple uses like grinding coffee beans, making soup and good-for-the-soul milkshakes. Depending on how powerful your blender is, you may find multiple functions for your blender as other people have. These handy appliances can also help you whip up a salad dressing or a marinade in no time at all. With so many brands in the market, deciding on the best single serve blender can be a pretty daunting task. If you’re in the market for one of these useful appliances, then there are a few things you want to keep in mind. Your blender needs to be a space saver otherwise there isn’t much difference between an old-fashioned blender and the single serve one. Although prices range from very expensive ($100 and up) to quite cheap, you need something that will tick the boxes when it comes to value for money coupled with longevity. You may also find yourself considering things about the blender that you naturally wouldn’t with other products and these are worth spending some time on. With blenders, do you care how loud or quiet the machine is? Are you worried about the space it will take up in your already squished kitchen? Thinking of these types of questions can help you make your purchase worth it for years to come. We know the decision making can be dicey. Here are our top 5 picks for the best single serve blenders available in the market today. 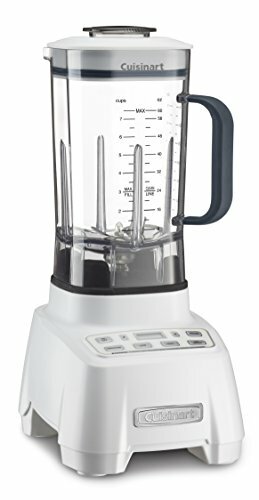 This single serve blender checks a lot of boxes as it is super sleek, compact, powerful and easy on the pocket. The Oster operates at 400 watts making it the least powerful of the list here, but that doesn’t mean it can’t fulfill your smoothies needs. Unlike the other blenders, it comes with a travel sports bottle that can also double as a water bottle. It’s good for making your green or fruit smoothies. As far as pricing goes, the Oster is quite fair retailing on average at $20. It also holds up against time pretty well, meaning your money will be well spent. If clutter in the kitchen from large appliances has been a concern, then the Oster works because it takes up very little space standing at 15 by 5 by 5 inches. 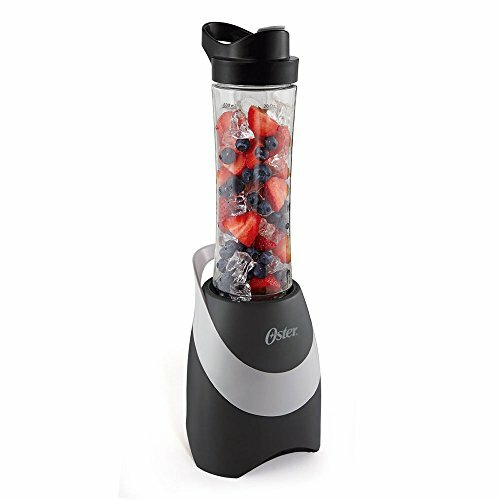 For its price, the Oster is a steal as long as all you’re looking for is a smoothie maker. The travel sports bottle is leak-proof, so you don’t have to worry about your earthy goodness spilling all over the place as you take your smoothie. At 400 watts, your Oster probable won’t be crushing ice for your margarita mixes. The same goes for large chunks of fruit not watered down enough or veggies that haven’t been at least cut up. Should you be after a super smooth drink from your single serve blender, then you might be less than pleased with this one. This particular model is nice to look at, the fairest of them all when it comes to price and is travel size. 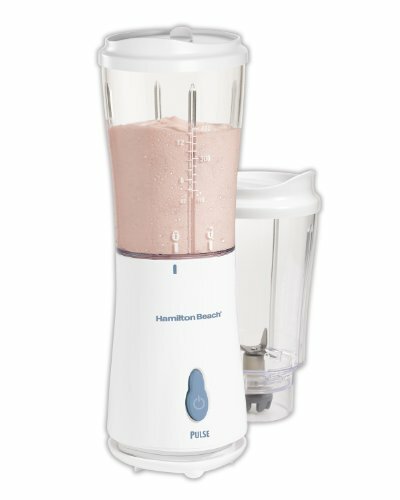 The Hamilton Beach Personal Blender can fix you up about 500 ml (32oz) of your favorite smoothies, green drinks, and even baby formula. It works with a simple one-touch button to get the blender going, and you can wrap the cord around the base for more compact storage. This blender may be small, but it is powerful and can handle even frozen fruit. The BPA free travel mug is dishwasher safe meaning you spend less time to worry about clean up time. You may also be worried about being the type of person that wakes everyone up with your morning smoothies, but this blender has you covered. The Hamilton is quiet as and can be stored away in any corner of your kitchen. As far as hygiene is concerned, it’s easy to clean as a little water and some dishwashing liquid is all you need to pulse away from the remnants of your smoothie. While the blender may be able to handle frozen fruit, it has a considerably tougher time working with nuts and the like. This may be a deal breaker for anyone who likes to throw in handfuls of chia seeds or almonds into their drinkable breakfast. And as much as it is gorgeous to look at, the stylish travel mug isn’t leak proof so you’ll have to ensure it’s always upright to avoid messes. Unlike the other blenders, the blades on this model do not detach from the travel mug which could be a deal breaker if you’re taking your smoothie on the go. 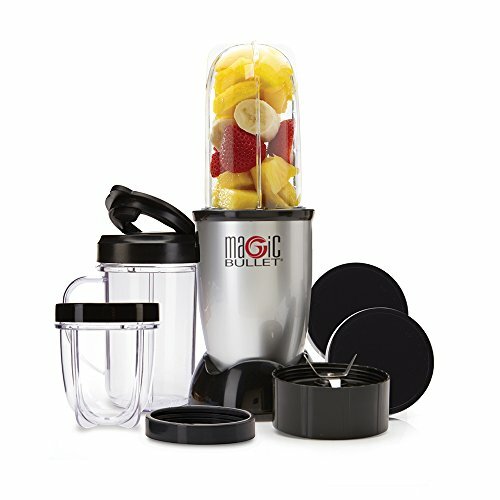 The magic bullet was one of the first of its kind trying to make it easy for people to take their smoothies on the go. The creators of this single serve blender say that it can grind, blend and whip which makes it a pretty versatile gadget. It holds more than its counterparts on this list at just under 1 liter (32 oz) but serves to fulfill the promises of a personal blender. It’s powerful, lightweight and comes as an 11 piece set. All its attachments are dishwasher safe, and it is a snug fit for even the tiniest kitchen at 13.2 inches tall and 6.9 by 10.6 inches on its body. Small, but tough, this blender will grind through pretty tough ingredients meaning your frozen fruit, nuts and seeds don’t need to be sacrificed for the perfect smoothie. The magic bullet also has a wide selection of cups which gives you variety. An even nicer extra is the instruction manual comes with recipes to help you get started with your magical blender. Unlike our previous choices, the magic bullet blender is a little on the higher side retailing on average from $30. This may be more than you are willing to spend on a personal blender. The magic bullet is also quite loud if this is a concern for you as a user that would like something with a little more discernment in the noise department. We wouldn’t blame you for wanting to get this blender based on its awesome name that sounds like it would power the most delectable smoothies and shakes. 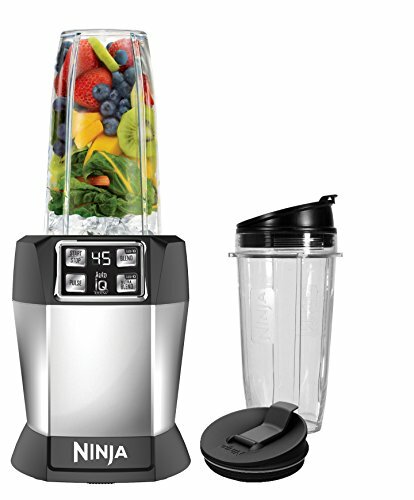 The Nutri Ninja is a small and compact single serve blender that boasts 800 watts of power. Even though it packs a mean punch, the blender remains compact enough not to get in the way around the kitchen. Its beauty does come with a price as the most expensive of the lot going for just under $80. 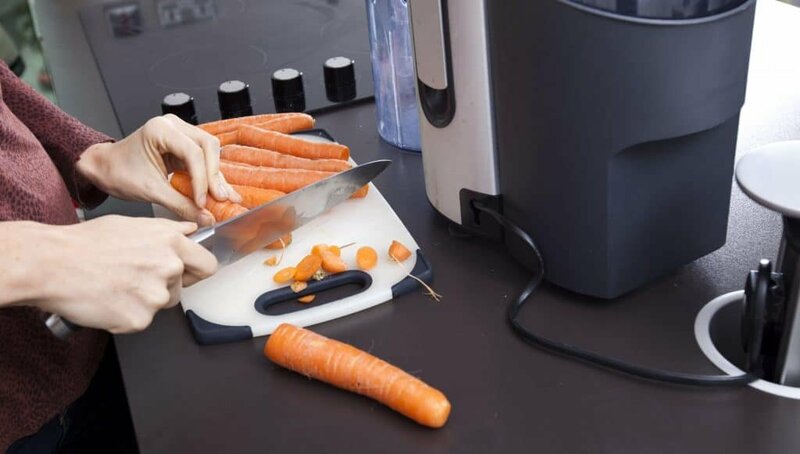 At 800 watts, the Nutri Ninja will cut through just about anything. You can make your smoothies or shakes with ice, seeds or even frozen fruit without a hassle. If we’re talking about a multipurpose appliance, this blender can even grind your coffee beans. With the kind of power it has, you won’t be left with chunky bits in your smoothie, and you will be able to whip up super thick milkshakes with no trouble at all. 80 dollars is a hefty price to pay for a single serve blender, so if you’re pocket conscious, then this may not be the pick for you. Cleaning may not be as easy as some of the other blenders as the blender has a silicone seal that you may need to remove to clean the debris underneath it. Our number one pick for the best single serve blenders is the Cosori High-Speed Blender which also comes in at 800 watts but stands out with its portability. This particular blender comes with two travel cups at 12 oz and 16 oz that are BPA free and dishwasher friendly. The Cosori retails from $60 and is the perfect kitchen must-have for making your smoothies and green drinks. There’s a lot to like about a powerful single serve blender that operates at 800 watts. The Cosori can cut through anything that you want to include in your smoothies turning even the hardest seeds and nuts into a powder. The blender can also blend ice, so you don’t have to sacrifice your love for an ice-cold smoothie. You may have trouble keeping other single serve blenders stable when working with them but this cannot be said for the Cosori blender which has suction cups on its base to keep it steady. So, you don’t have to hold it down, and its auto function that beeps when blending is done means you don’t have to stand around waiting for it either. It’s a blender that’s easy to clean with BPA free travel cups, and as much as it is powerful, it’s pretty quiet for a blender. If you’re stumped for inspiration, you also get a recipe book to help you get started with your healthy drinks. The cup sizes may feel too large (16oz) or too small (12oz) for the smoothie aficionado. Although it is quiet, it’s certainly not the most quiet on the list. It comes in two colors - silver and black which may be restricting for some. There are a lot of great single serve blenders on this list, but if the value for money and amazing functionality is what you’re after then our number one pick, the Cosori blender should be your go to. It’s the one blender that will help you avoid sacrificing your end product, i.e., your smoothie unlike some of the other options that may not give you the smoothest drink. A single serve blender is the type of kitchen appliance that you want to last a long time especially if you have it for multiple functionalities. When you’re ready to make that decision, remember all the ways you wish to your blender to serve you for the many years to come.